For Visual Embryo we have a guide that provides a quick default setup. 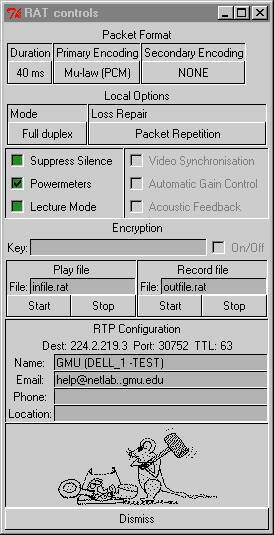 In Rat, you can see a list of users connected to the session and have controls that allow you to manipulate incoming and outgoing audio. 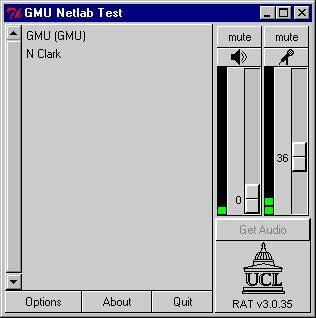 When you first start the tool, your microphone will be muted. 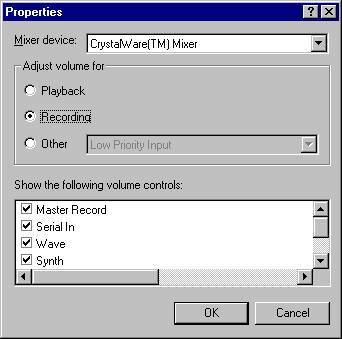 If you have trouble using the audio you should make sure that other audio inputs are disabled. To do this double click the speaker icon on your task bar near the clock. Select �Options� and �Properties� In Properties - switch to �Recording� and click all of the check boxes in the list below. Choose OK and you should now be at the �Master Record� controls. 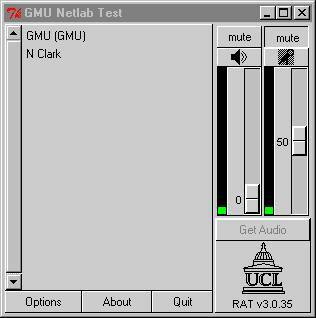 You may need to adjust the gain on the microphone to an acceptable level each time you start RAT. You may also need to adjust the volume level of incoming audio. Make sure your camera is connected correctly to your capture card. 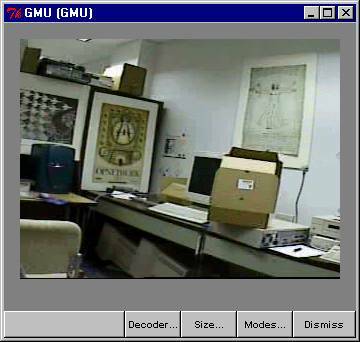 If you are using the Winnov camera (the small round camera) � then it should be hooked in to the round MXC port (to the right of the yellow composite port). 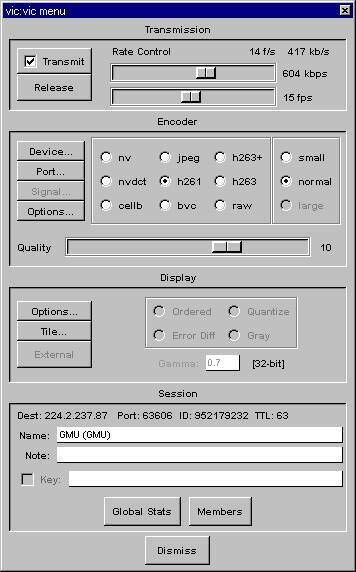 You can use a different camera than this one � but you must launch �Videum Configure� (Accessible From Start -> Programs -> Winnov Videum -> Utilities) and select the port you want while VIC is running and transmitting. You can tell the camera is functioning and has power if the green light shows up in the front of the camera. 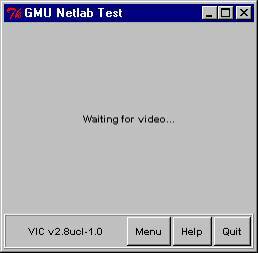 When returning to the Vic window � you see a small version of the data being transmitted. There will be an entry here for everyone in the session, click on an entry to see a larger version of the video. There is also a Whiteboard (WB) tool which is pretty much self-explanatory. A good strategy with WB is for each site to pick a different color to write on the shared whiteboard. Click here for information using the scanner with the Whiteboard utility. This completes the �how to� for users. It may seem like a lot of steps, but in fact you will usually just need to click on the quick launch icon. Click here for more detailed information on using MBone and the MBone SDR utility.